Cedar Glen, Howell condos for sale. Call 732-598-7700 to see the Condo For Sale Cedar Glen Howell NJ. Cedar Glen Howell is a newer townhouse community. Built in 2004, it’s located on Yellowbrook- Squankum Rd and is very close to Route 195. There are 99 townhouses in Cedar Howell. Each townhouse has 1640 square feet of living space, with either two or three bedrooms. However, the three bedroom models have smaller bedrooms.There are three living levels, the lower level has a 1 car garage, laundry facilities and a family room, the second level has the kitchen and living room/dining room. The bedrooms are located on the top level. 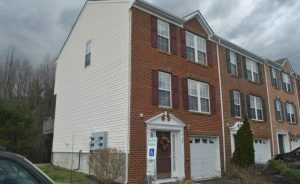 The Condo For Sale Cedar Glen Howell typically sell in the mid to upper $200,000’s. The monthly association fee includes exterior maintenance of the building. Also common area maintenance, landscaping, snow removal and tennis courts. In addition, your pets are welcome in Cedar Glen. Cedar Glen is a townhouse community. As such, it does not need to be approved for FHA financing. Therefore, the homes can be purchased with as little as 3.5% down payment. Route 195 is right around the corner. Also, there is a Park and Ride for bus commuters on Route 9 in Howell. Students living in Cedar Glen Howell will attend the Howell school system for kindergarten through eighth grades. When a student enters high school they will attend the Freehold Regional High School District. There are six high schools in the Freehold Regional High School District. In fact, each school offers unique courses of study. For example, some of the courses are global studies, business administration, medical sciences and more. Students may apply, through a competitive process, to attend the high school which offers their desired programs. There are also private schools in the area. As a result parents have many choices for educating their children.